The Governor Suite is available for guests looking for greater sense of space, style, and comfort Located on the upper floor, the Governor Suite features a handsome living room made all the more roomy thanks to efficient space management. The parquet gives it a bright and agreeable patina, while the carefully-chosen furniture is both practical and comfortable. Guests wishing to do some home cooking can take advantage of the handy kitchen that features a microwave, refrigerator, sink, and all necessary amenities. Both the bedroom and the bathroom with panoramic views of Bangkok emphasize the importance given to our guests’ contentment, while an additional washroom is located near the entrance hall for additional convenience. 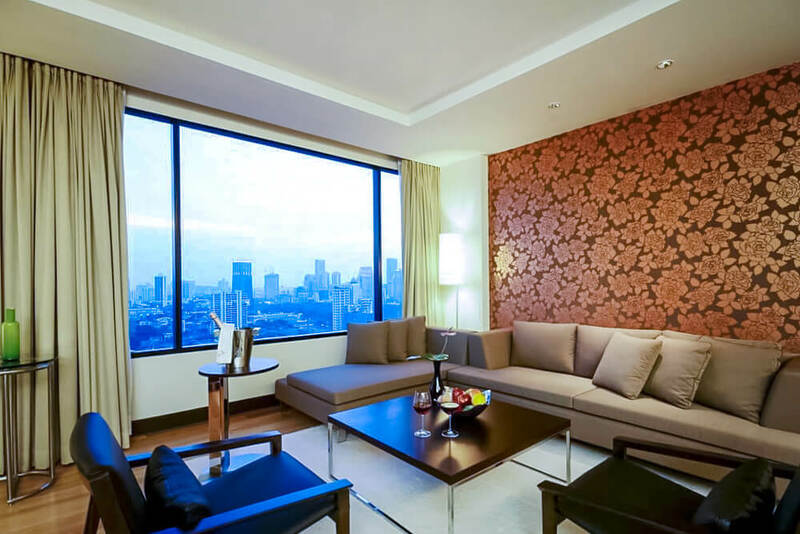 The Governor Suite represents a great opportunity to enjoy superb lifestyle in the heart of Bangkok.